I was a fan of the Charlotte Mason philosophy from the first time I learned of it, almost three years ago. As soon as I began to study this philosophy, I knew that it would work for my children, and for me as the teacher. Where I kept getting hung up, was on the Charlotte Mason curriculum options that I found. None seemed to be a fit for me, and no matter how many times I would obsess over this or that pre-made CM curriculum, they just didn’t feel right. I started to think that maybe this wasn’t the philosophy for us after all. With some really great Charlotte Mason curriculum on the market – it can be a very overwhelming task to get through them all and decide which to use. 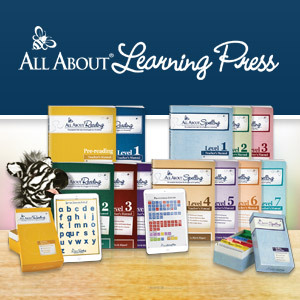 Printing booklists, reading over samples from various curriculum publishers, trying to decide which curriculum will be the best for your family – it can all be very intimidating. So what if I told you that you don’t NEED a curriculum to follow the Charlotte Mason method in your homeschool? Pin Me And Save For Later! Do You Need A Charlotte Mason Curriculum? I can definitely understand the desire to find a curriculum that has booklists and a syllabus already planned out for you. Who wants to reinvent the wheel and make it all from scratch, right? Well – here’s the thing about the Charlotte Mason method. It’s NOT a curriculum, and it’s not a prescriptive set of plans to follow. It’s a philosophy – a way of looking at your child’s education. And here’s the thing about the ready-made Charlotte Mason curriculum on the market – they are but ONE person’s perspective and interpretation of the philosophy. Which means that they may not work for your children, and then what do we do? At this time of the school year, when we’re looking to next year’s plans, I see some mamas who are so stressed out. Trying to MAKE this or that curriculum work, trying to change their family around to fit the plan that someone else has made. You don’t need to do this, mama – you do not have to make your child fit anyone else’s mold. How Do You Know If A Curriculum Won’t Work? Does it fit my family’s values? Will the suggested materials work for my particular children, particularly those who may have learning differences? Does a pre-made curriculum work for ME, as the teacher? Or will I feel stifled by following someone else’s plans? Are there religious/spiritual conflicts between the curriculum and my family’s spiritual beliefs? These are just a few things to consider as you’re looking over a pre-made curriculum plan. Perhaps after really considering all of these things, a Charlotte Mason curriculum may work perfectly for you. Or it may not. And if it doesn’t – it does NOT mean that you can’t follow this method in your homeschool. So, you’ve looked at the Charlotte Mason curriculum on the market, and they won’t work for you. Now what? Well, in short – go to Charlotte’s own writings. These are NOT easy reads – the language is not what we’re used to. But if you want to TRULY understand her philosophy so that you can apply it in your own way? Go directly to the source. Know that all of these curricula that have been created are done so by homeschooling mamas like you and me. They have interpreted her words, and put them into a practical and ready-to-use curriculum. But ultimately, you can do that too! Go to Charlotte Mason’s “Original Homeschool Series”, take notes, look up particular topics or subjects and read her words so that you can understand her approach. Familiarize yourself with her “20 Principles”, and use that knowledge as a filter that you use to decide on resources and subjects. Decide the topics/subjects you want to teach and in which year – you can definitely follow Charlotte’s schedules that she created for her own students. You could also opt to alter those schedules, depending on the needs of your family. Something I’ve been using that I really really like is Simply Charlotte Mason’s “Planning Your Charlotte Mason Education”, which is a book and dvd set that walks you through crafting your very own Charlotte Mason school year. So, if it’s your first year attempting a DIY-Charlotte Mason year, a resource like that would be a great way to get into your own planning groove. I talk a little bit about it in this post, but am planning an in-depth review soon after I’ve worked through it. Charlotte Mason definitely had a clear set of guidelines in her philosophy – her 20 Principles that she begins her sixth volume of her Original Homeschooling Series. Her belief that children are born persons, is foundational to every aspect of her philosophy. If we are called to honour the “wholeness” of our child, why then do we so often feel pressured to foist someone else’s plans onto our children? Onto ourselves? What Charlotte Mason gave us was MORE than a curriculum plan, or history rotation, or set of books she chose to use with her students – she gave us the TOOLS with which we can create the best curriculum for our individual children. Her words guide us to teach OUR children – and that’s the heart of her philosophy: teach your child, your WHOLE child. Present them with a feast of living books that will educate not only their minds, but their hearts and souls also. The authors of the various Charlotte Mason curriculum ARE deeply knowledgeable about Charlotte Mason’s writings. It may be the common opinion that there is only one RIGHT way to use Charlotte Mason’s philosophy. There may even be “experts” on her method. But at the end of the day, they don’t know your children or your family. YOU are the best person to teach your children. YOU are the expert on your homeschool and your children. YOU are fully and completely capable of making your Charlotte Mason homeschool anything you need it to be. And don’t EVER let anyone make you feel otherwise. You got this, mama. ‘Outside the Journal’ – Nature Study! Spot on…and so me. Great article. Thanks Dachelle! 🙂 And yes, it’s been ‘me’ also but this year I’ve just decided to stop trying to force my family into anyone else’s tidy little box, and I feel so much happier and relaxed. I still fret and obsess over which resources to use, but I don’t feel the overwhelm or anxiety these days. Loved this. I don’t know that I am CM, necessarily (don’t really know what I am!) but I have definitely had the feeling of trying to conform us to a curriculum that doesn’t really work, or reworking a curriculum so that it was almost completely different! Great, honest, straightforward post on how to DIY. Can’t wait to see your follow-up review. This is my first year designing our curriculum myself and we are loosely CM, so this article hit home! I’m already done with this year’s stuff (and we’ve already started) but I’m book marking this as inspiration for next year. This was very helpful to read right now, as I am ready looking at tweaking what I see over on AO and I am a total newbie (or newb, as my son would say).